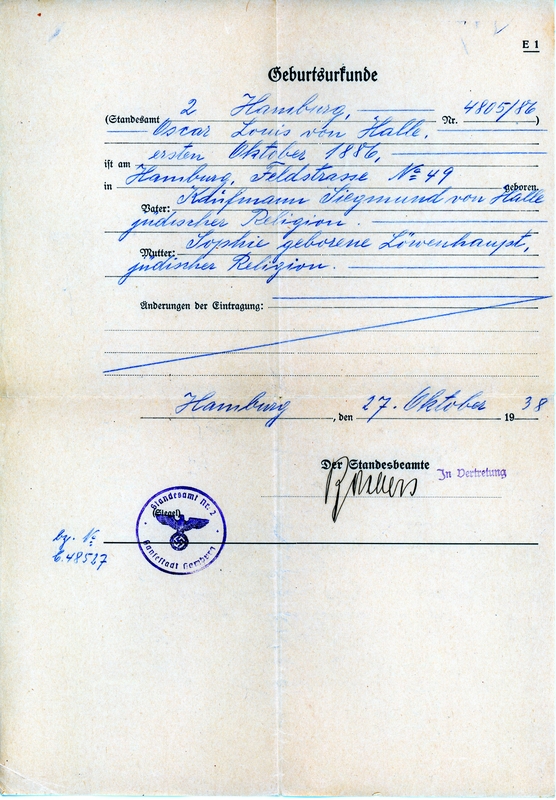 Here is a Nazi era birth certificate issued to Oscar. It clearly states that both his parents are of the “Jewish Religion”. Wow, Andi. This is great. I really hope to visit Hamburg soon. I am in the process of applying for my German citizenship, so hopefully soon!